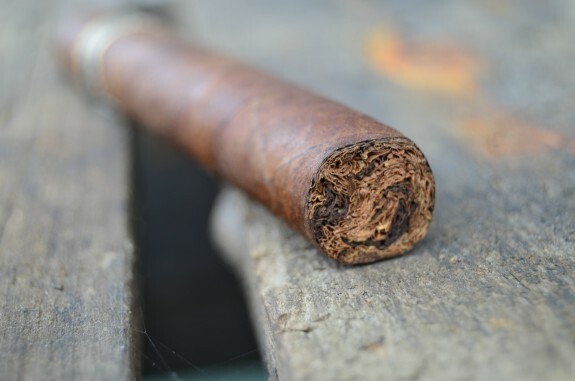 Cigar wise, it represents my personal maduro desires: a robust, extremely flavorful liga comprised of rich Nicaraguan leaf hand rolled in a 100% naturally fermented, heavy Broadleaf capa. Steve Saka branched off from Joya de Nicaragua with the Mi Querida release having it produced at Nicaragua American Cigars, S.A. or NACSA factory in Esteli, Nicaragua under the watchful eyes of Master Cigarmaker Raul Disla. Mi Querida currenty has nine frontmarks: Pequeno Pequeno (4 by 44), Gordita (4 1/4 by 48), Fino Parejo (6 by 48), Ancho Corto (5 by 52), Ancho Largo (6 by 52), Short Gordo Grande (4 3/4 by 56), Muy Gordo Grande (6 by 56), SakaKhan (7 by 50), and Mas Sucia (7 by 64). The cigars come packaged in 20-count boxes with the exception of the Mas Sucia and SakaKhan that come in 10-count boxes. 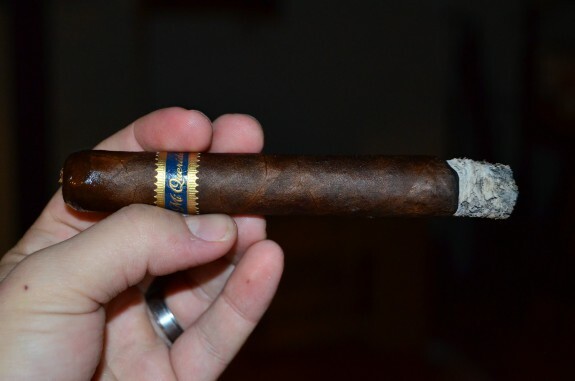 Tony reviewed the Mi Querida Fino Larga back in August HERE. 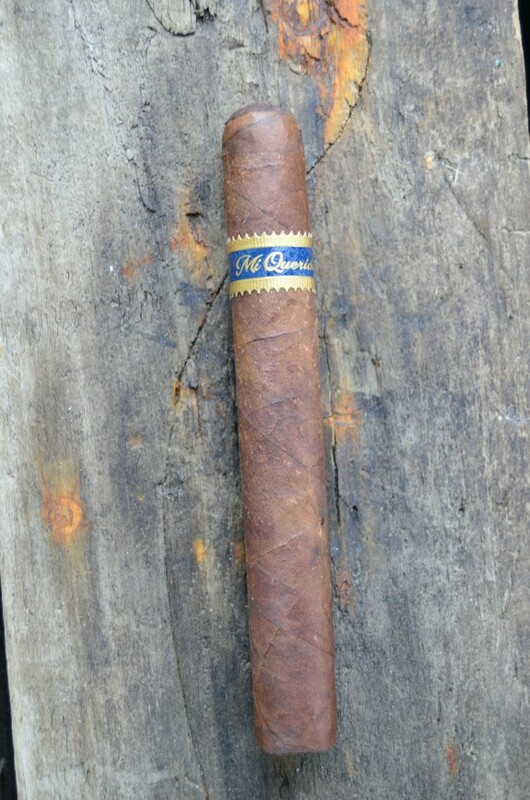 Dunbarton Tobacco and Trust’s Mi Querida wears a gorgeous Connecticut Broadleaf wrapper full of character. Sugar-like crystals glisten on the leaf that has a fine tooth, a couple medium-sized veins, and tons of color variation. From head to foot, the cigar is filled evenly with hardly any give as I lightly pinch the stick between my fingers. Bringing the Mi Querida to my nose, an aroma of musk, vinegar, and earth is found on the wrapper. The foot shows off some more of the earth, cocoa, and a touch of hazelnut. The cap is decently applied with fairly straight lines. A shallow cut opens a fantastic draw with cold draw notes of rich cedar, cinnamon, and a hint of clove. A spice heat lingers on the lips and in the mouth. The Mi Querida comes out of the gate with bold, spicy flavors. The core of the profile is of leather and coffee, followed by a rich, sweet woodiness. The spice is full, but just short of overwhelming as I move the smoke through my sinuses and the smoke is very chewy and thick in the mouth. A thick burn-line with a minor wave is leaving behind a flaky looking ash. Jumping into the second third, the flavors and spice settle, but at the same time, the richness builds. The earlier coffee flavor is more espresso-like, and the leather has transitioned to more of a dirt. 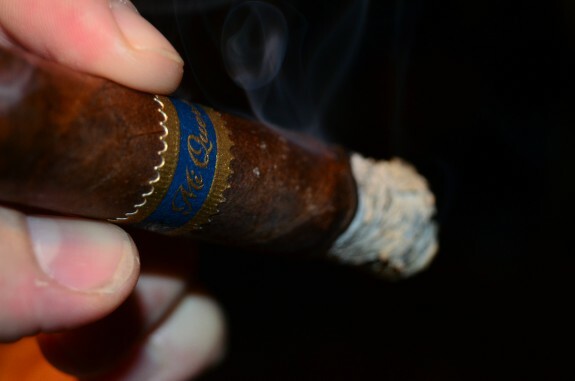 There is a nuttiness that has moved into the profile, as a cocoa and dirt combo sits on the finish of the smoke. There is also a tartness to the profile, that I would characterize as sour fruit. It is very intriguing and working well with the profile. At the halfway mark, a dry cedar arrives and a sweetness gains ground that is complementing the darker, heavier flavors. The tart fruit and espresso notes are meshing extremely well as the Mi Querida burns down to its final third. Dry cedar, dirt, and a dusty cocoa quickly follow. The burn-line is razor sharp at this point. As the Mi Querida winds down, I am in a relaxed state of mind from the slight nicotine kick I am experiencing. 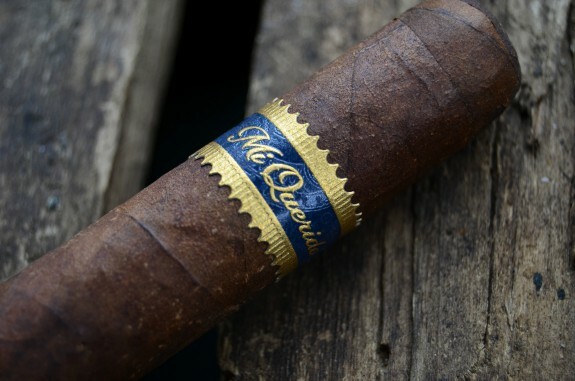 The Mi Querida quickly awakens the palate with big, bold flavors from first light all the way down to the final puff. The heavy, dirty flavors were complimented by the arrival of some sweetness and tartness. 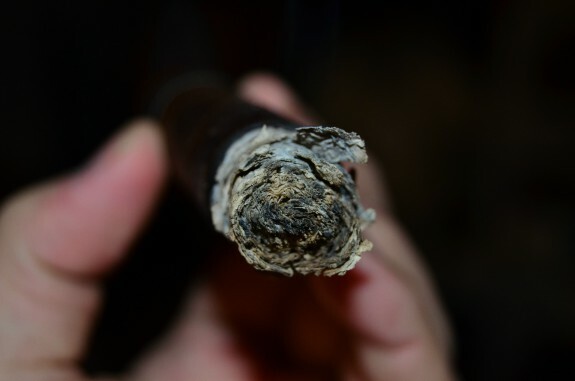 While full, the cigar is well balanced and not fatiguing on the palate. Performance-wise, the burn was just about perfect and the smoke production rocked. 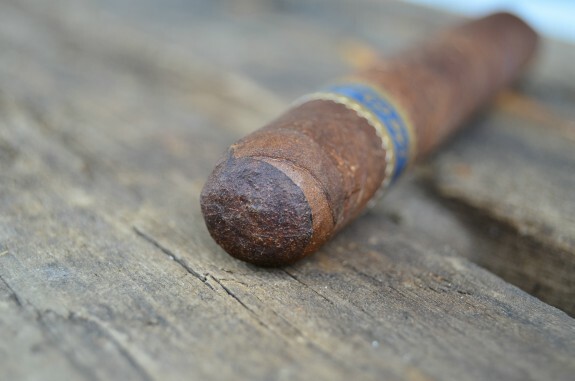 And really, who cares about a flaky ash when a cigar is this good. The Mi Querida is a completely different beast from the Sobremesa, but just as deserving of having a spot in Saka’s expanding portfolio. It is without reservation that I would highly recommend this cigar.